Featuring music from the always magical Tall Music. We are so excited for this years Cleveland dance. 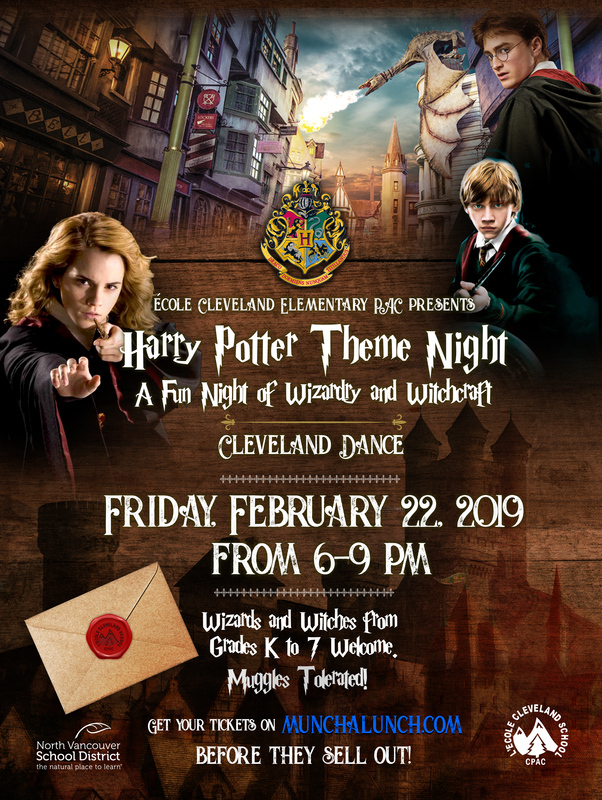 Tickets are selling faster than an owl can fly, and Harry Potter Night on a February 22nd is sure to be a magical night. We have a few important points to review, so please pull out your quill and parchment and take notes. Our volunteer dance committee cannot pull of this epic night without the support of Cleveland parents. If you can help please sign up for a volunteer spot on Fresh Schools or contact Julie Cox or Laura Hotte by email. Online ticket sales have now ended and tickets will be delivered to students this week. Tickets will also be available for sale at the event. Please note that the event is cash only. All money raised by PAC at the dance helps out our school. Concession tickets are also available for delicious snacks and treats at the event. Purchase raffle tickets for your chance to win some amazing donated prizes and prize wheel tickets to win a special treat! Please note that due to lack of interest, there will NOT be babysitting services available. If financial hardship prevents a family from attending the event, please contact Principal Reid who will be able to find the necessary assistance.